Too Young To Be Old! You've heard about anti aging, read about it and would really like to understand it. There are tons of products and information available, but the information is confusing, the benefits are conflicting and the products are expensive. When you are 40 plus, life certainly comes into play, doesn't it? Health issues, financial issues and not the least of which are family issues that all leave you feeling exhausted and worn out. You know how important it is to take care of yourself, but at the end of the day you just do not have the energy or stamina to even begin researching and building a program that will work for you. The Anti Aging Forty Plus Guide does the work for you! When you look and feel healthy all of life's pressures seem a lot lighter. Why, because when you have energy and stamina, you are much more resilient when faced with the hurdles in life's path. You just know that you can handle it. One of the best benefits of all is that your self-confidence will soar. 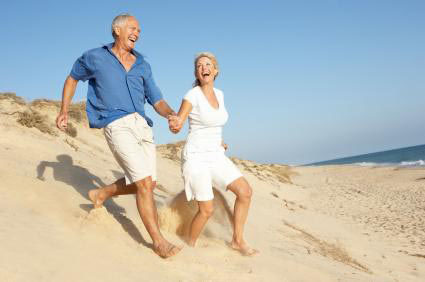 The results of anti aging are vitality, energy and a love for life. How will this Anti Aging Forty Plus Guide help me? The Anti Aging Guide cannot teach you how to stop growing older. It is dedicated to teaching you how to become ageless. We invite you to join us and learn how to be in the "know" regarding your health, energy, vitality and success. What is in the Anti Aging Forty Plus Guide? Learn how to prepare mentally and physically to reach your goal successfully. Lose that middle-age spread forever. Provide your skin with the purest and cleanest skin care. Feel and see the benefits of nourishing your skin to restore its health, vitality and glow. Once you understand the importance of the body's master gland, you will want to know all about the good foods that you can eat and the impact of "bad" food. How important is drinking the right amount of fluids? Is your water providing the maximum amount of hydration? What is energy? What causes energy to wan? Learn how to energize your life physically, spiritually and mentally. When to exercise and when not to exercise is the question. What exercises keep you fit and toned?